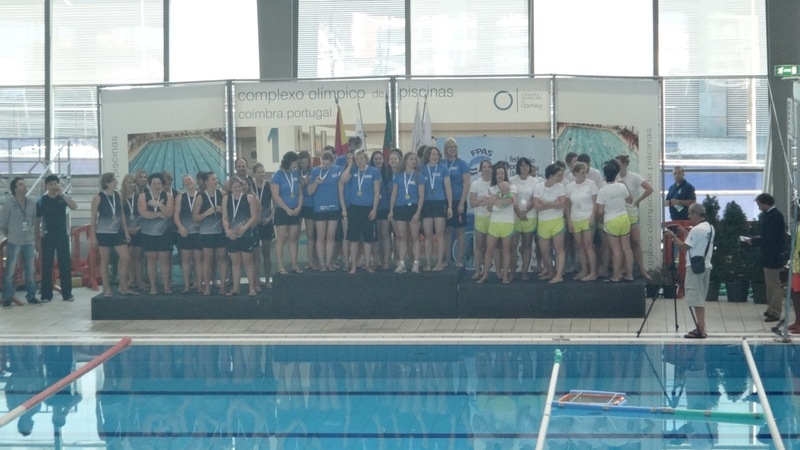 Australia sent an Elite Men's and Elite Women's team to the 17th CMAS Elite World Championship of Underwater Hockey held in Coimbra, Portugal from 16 - 27 August 2011. 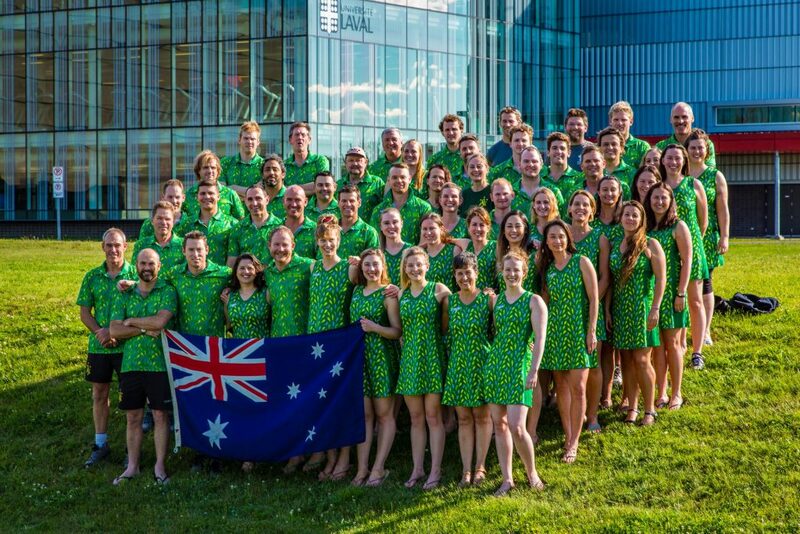 The Australian Men and Women's teams. The Australian Men's team won gold with a 6 - 1 win over South Africa in the World Championship game. The win ended a drought of sorts for the Australian Men as it was their first title since the 2002 win in Calgary. They did it in style, the 6-1 scoreline was the largest margin in a World Championship Men's final for more than a decade. 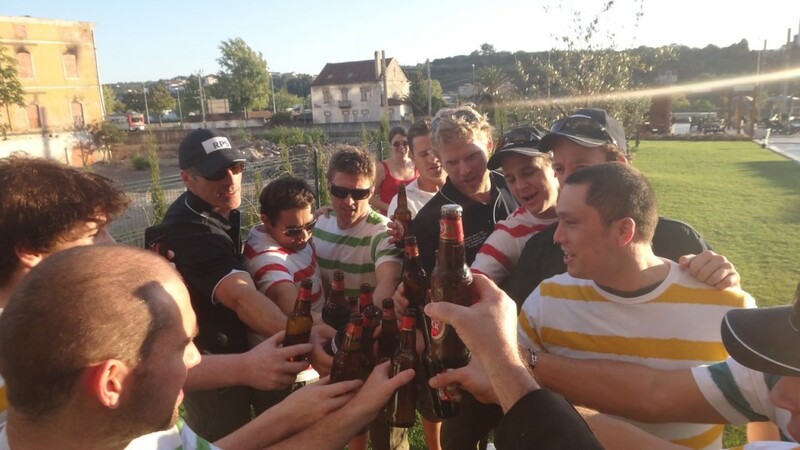 The boys made their way through a very even round robin stage in unspectacular fashion. Six wins, two draws (to Great Britain and South Africa) and one loss (to France) was solid but uninspiring. It looked as though it would leave them as the third placed seed. However, a surprise loss by France to Turkey in the final round robin game saw Australia leap frog the French in the standings and enter the finals as the second seed. This meant a quarter final match up against a hard working Great Britain team who had proved stiff competition in their drawn round robin match. While it was a tight and hard fought contest, Australia progressed to the semi-final with a workmanlike 4-2 win. France loomed has their semi-final opponent after atoning for their stock round robin loss with a massive 13-0 win over the Turks in a controversial quarter final. Following a spiteful first half the French played uncontested for most of the second half - swimming in goal after goal - when the Turkish team refused to contest the game due to perceived umpiring bias. The two teams have a history of producing close matches in the pointy end of the competition. The teams had met in the semi finals in the previous two World Championships and in both cases the French had prevailed in extra time. As such, there was no shortage of motivation amongst the Australia boys to put in a big effort. In an intense and physical encounter an unselfish team performance saw the Australian boys reverse the result of previous years winning 3-2 to book themselves a ticket to the big dance. Australia's opponent in the final was a South African team that had progressed undefeated through the competition. Spectators arrived at the pool expecting a close match but in the minds of many the South African team was the strong favourite to take out the title. In a close and frantic opening saw the puck move from end to end. Blake Sutcliffe got on the end of a solid multi phase drive from the middle of the court to score the first goal four minutes into the game. Nick Yong extended the lead when his break away resulted in Australia's second goal at the midway point of the first half. South Africa reduced the margin shortly after. With Australia a man down in the sin bin the South Africans where able to take advantage of a penalty in front of goal to score. The game see-sawed back and forward for the remainder of the half but neither team was able to penetrate the opposition defence. Halftime saw Australia hold a 2-1 lead. South Africa opened the second half strongly but the Australian defence held firm. A sustained counter attack saw the Aussie boys work the puck up the pool before scoring their third goal four minutes in. Tom Miller had the opportunity to stretch the lead shortly after when he found himself in the clear in three metres out from goal but a wayward flick over the top of the goal allowed the South Africans to clear the puck. Thankfully for him the Australian boys were able to lock the play in their attacking third and score a minute or so later. Nick Yong looked to have put the result beyond doubt shortly afterwards when his break away goal stretched the lead out to 5-1. The South African's had other ideas and next four minutes saw them make a sustained attack on goal. Once again the Australian defensive structures held strong. Another Australian goal in the final minutes of the game stretched the margin out to 6-1 and ensured the largest margin in a World Championship Men's final in more than a decade. The win reasserted Australia's dominance in the international Men's division and delivered a tenth World Championship title from the 16 competitions we have contested. The Australian Women's team collected Silver, losing 1 - 3 to Great Britain in a closely fought World Championship decider. 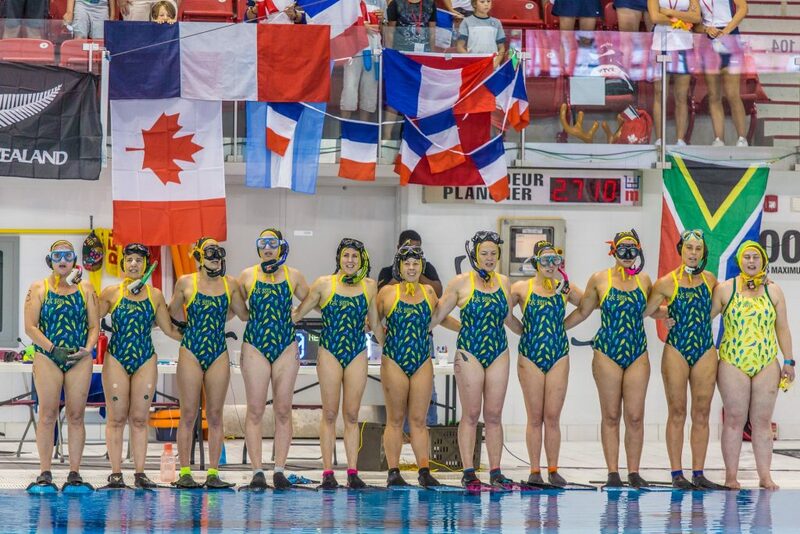 The Australian girls record of five wins, one draw (with France) and one loss (to Great Britain) saw them finish the round robin stage as the second seed. The GB team had defeated them quite comfortably 5-1 in the early stages of the round robin but the Australian's gave themselves every chance in the final after their impressive run through the finals. They defeated Canada 5-1 in their quarter final match then followed it up with 5-0 win over France in the semi-final. The final was a high skill and physical exchange. The GB girls skipped out to an early lead before the Australian girls pegged back a goal. Another first half GB goal saw that margin sit at 2-1 at halftime. The Australian girls came out after the break all guns blazing but the GB were able to absorb the pressure before putting the result beyond doubt with a third goal. A full list of results is available on the 247.tv website. The Australian Men's teams journey to Gold. 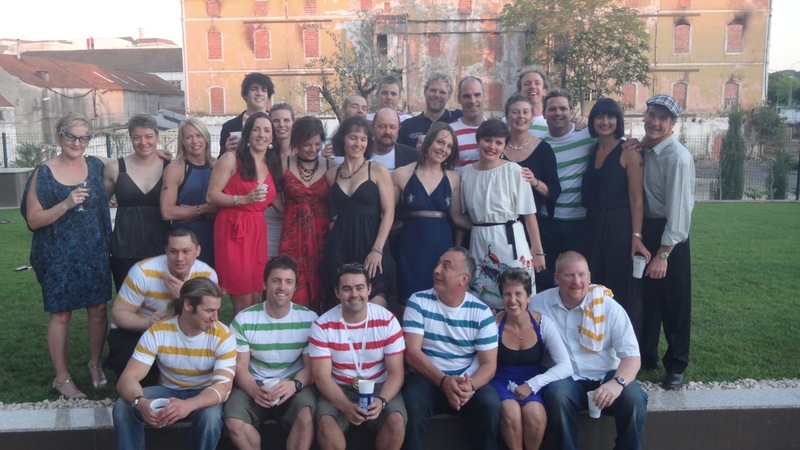 Do you have any other pics from this competition to share with us? We are particularly looking for names and photos of each of the teams that played in this competition. Please email communicationsofficer@underwaterhockeyaustralia.org.au with any photos including the date and competition that was played and the names of the people in the photo.